Possibility to spend the night at Beirut airport (BEY), if open 24 hours. Services available, places to rest (free resting zones), or look for the list of nearby hotels and vip lounges.. If you have a flight early in the morning, you will be able to spend the night inside the airport, as it is open 24 hours a day. Where to rest: The Arrivals area, situated on the ground floor, has comfortable benches. If you have a sleeping bag, another interesting spot is the corridor next to the restrooms on the upper floor. Another option is to enter one of the VIP lounges, which are open around the clock, although the maximum stay is 3 hours. 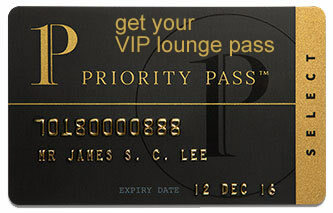 SEE VIP LOUNGES As for hotels, the closest are located inside the city, but some of them operate shuttle services. Baggage: There are no luggage storage offices inside this airport. Eating and drinking: Commercial stores close at night, so it is recommended to have some snacks ready in advance. Restrooms: Showers available inside some of the VIP lounges. Wi-Fi: Free for 30 minutes. Other services available around the clock: ATMs, baby changing facilities. There are no hotels inside the grounds. Most nearby accommodations are found in the city centre, and many of them provide transfers for their guests. Assaha Village (Tel +961 145 0909), Coral Beach Hotel & Resort (Tel +961 185 9000), Lancaster Tamar Hotel (Tel +961 545 8000), Beirut Golden Plaza Suites (Tel +961 145 0859), Assaha Hotel (Tel +961 145 6101), Golden Tulip Galleria Hotel (Tel +961 183 0100), Kempinski Summerland Hotel & Resort (Tel +961 185 8000), Ewa Beirut Raouche Hotel (Tel +961 178 6640), Monteverde Hotel (Tel +961 440 1806), Hilton Beirut Habtoor Grand (Tel +961 150 0666).